Engel & Völkers recent Canadian Market Report highlights the luxury residential property market in Canada’s major cities and explains the high real estate demand, both nationally and internationally. Canada is known for being one of the most desirable countries to live in. Part of what makes living in this country so enticing are its beautiful landscapes and bodies of water, seen as a luxury in itself. Vancouver, Toronto, Mont-Tremblant, Montreal, Bromont and Calgary are Canada’s most popular cities. Each location is offering its own unique characteristics, surroundings and style, creating a higher demand for the right home in the right place. Specifically, in the luxury segment there is a clear surplus in demand in many places, resulting in a significant rise in price. The knowledge comes from a survey of these six selected real estate markets, based on assessments made by local Engel & Völkers residential property shops between January and September 2017. Have an extra $35.8 million sitting around? If you answered yes, then you just might be able to buy a home in Vancouver’s west coast neighbourhood Shaughnessy. This area is the most expensive neighborhood in the city, with a mix of historic and modern buildings confidently catering to just about anyone’s luxurious appetite. Vancouver’s market takes first place in the highest price out of all the markets Engel & Völkers analyzed. A great deal of commercial and industrial enterprises can be found in Montreal, along with a diverse spectrum of cultural life. The highest priced location for detached homes in the city is the Golden Square Mile. Asking prices in this historical district has reached $11.9 million with condo asking prices reaching $1,440 per square foot. Another exclusive area is Westmount, which sits in the heart of the city. Montreal’s downtown is up-and-coming in popularity and is a prime location for young, tech-savvy professional buyers looking to acquire newly built condos with concierge service. Canada’s economic centre, Toronto, is also one of the most popular property markets in the country. 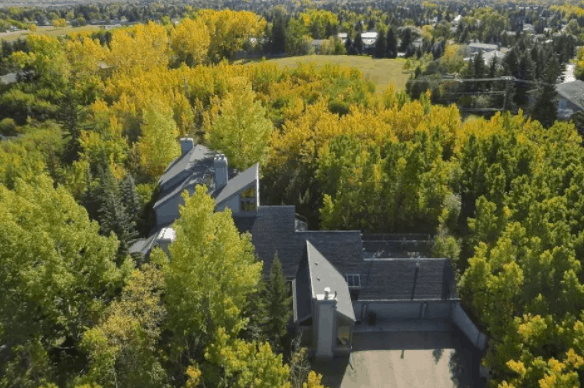 Large lots with exclusive homes make the Bridle Path the most expensive area for detached properties in the city with listings reaching sky high prices around $10 million. The Rosedale area is known for its abundance of greenery and its broad choice of schools, which makes Rosedale especially popular for families. Another area preferred by families is Forest Hill. Buyers in this area focus attention on classic modern detached homes with large garages, and newer features like security cameras and smart home technologies. Calgary’s highest-priced residential areas include downtown, West and Northwest Calgary as well as the suburb of Pump Hill. These areas feature easy transit connections to the Rocky Mountains, a variety of recreational activities and broad choices of schools, which especially draw families in. The highest asking price for a property in Pump Hill was just over $12 million CAD for a detached home. As well, prices for freehold condos in downtown Calgary reached up to $700 CAD per square foot. Mont-Tremblant is one of the most desirable second home markets in Canada. Known above all as a ski resort destination, it also offers a vast range of other outdoor activities throughout the year. 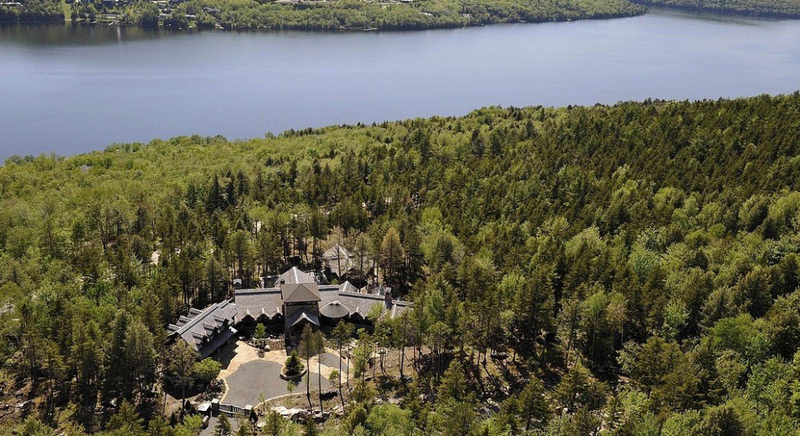 With asking prices of up to $9.95 million CAD, the most expensive addresses for detached properties here can be found on Lake Tremblant. Regarded for its winter activities, the lake features large estates with panoramic views and smart home technologies. Ski-in/ski-out properties in direct proximity to ski slopes are extremely desirable. Contemporary 4,000 square foot condos enjoy the highest levels of buyer interest, with prices from $650 CAD per square foot. Situated approximately 75 kilometers east of Montreal, Bromont is a premium location for residential property due to its proximity to the slopes and accessible transportation to Montreal. There is a high level of demand from vacation home buyers interested in these properties. Asking prices are up to $447 CAD per square foot with freehold condos reaching the highest price levels in the region. Another desirable location is the town of Lac-Brome with its eponymous lake. This town lies southeast of the city and draws in prospective buyers to the waterside setting. Asking prices for detached properties reached $4.5 million CAD, with majority of interested buyers living in Greater Montreal. Engel & Völkers has become one of the world’s leading companies specializing in the sale and lease of premium residential and commercial property, yachts and private aviation. Engel & Völkers currently operates a global network of over 10,000 real estate advisors in more than 30 countries, offering both private and institutional clients a professionally tailored range of luxury services.